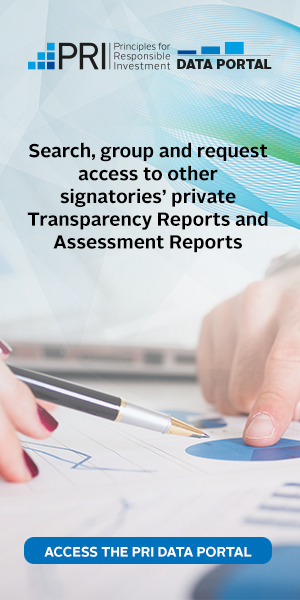 Ensure investors and investee entities are transparent and accountable. Over 2,250 investment organisations, representing over US$85trn, have signed up to the six Principles11. Twenty two of the world’s 50 largest private debt investors are PRI signatories. The investment industry uses a variety of definitions for ESG. The term is generally considered to refer to factors that, while not measured in traditional financial units, are important to corporate financial performance and, therefore, investment performance. Rather than considering an ‘ESG checklist’ of factors that investors should incorporate in their investment analysis, it is more constructive to consider ESG as a lens through which investors can identify potential investment risks and opportunities in a systematic way. 1. Macro ESG – issues that are likely to impact the economy as a whole (either negatively or positively), such as climate change, which represents both physical risks (flooding, drought) and regulatory risks (carbon tax, emissions restrictions). 2. Micro ESG – issues which have the potential to impact individual sectors or companies in different ways. These include social issues (e.g. labour relations) or governance (e.g. board independence). 3. Values or norms-related ESG – issues which are not necessarily deemed financially material but which are not aligned with an investor’s internal viewpoint, such as the production or sales of controversial weapons and tobacco products, or gambling services. Do no harm. Excludes entities from investment universe based on sector, products or services, or certain behaviours that an investor deems undesirable for moral reasons. Do well by doing good. Actively targets companies which score well on ESG metrics relative to benchmarks with the objective of generating positive financial, environmental or social outcomes, or all three. Seek to address a specific problem. Actively targets companies which demonstrate ability to address specific environmental or social challenges via specific products or services. Do good (and do well). Actively targets positive environmental or social impacts where intentionality, additionality and impact reporting are explicit. Targeted investment returns may be competitive or below market rates. Manage risk holistically. Integrates qualitative and quantitative ESG information into traditional investment decision-making processes, such as valuation and portfolio construction, with the objective of enhancing investment decision-making. Monitor and manage ESG challenges. Uses investor influence as lenders of capital to manage exposures to ESG risks and/or enhance transparency of a borrower. There remains a misconception about ESG that the term relates exclusively to an investor’s moral or norms-based views, and might therefore harm investment performance. In fact, rather than excluding undesirable companies from their investment universe, PRI signatories more commonly apply an ESG integration approach as a way to avoid risk or enhance investment value over the long term. In most cases, however, these different approaches overlap, as they are not mutually exclusive. The analysis and integration of ESG factors into investment decisions has been embraced by a growing number of investors because it provides an additional level of risk analysis, helping to identify exposures that can be financially material. It is particularly complementary to private debt investment given these investors’ primary focus on downside risk. This approach helps investors to consider risk in a more holistic way to identify hidden drivers of risk which may impact a borrower’s credit strength. When considering the typical hold-to-maturity approach for relatively illiquid markets, the case for considering ESG factors becomes stronger, especially over medium- or long-term investment horizons. There are a number of academic studies which support the case for ESG integration, such as Barclays’ research on sustainable investing and bond returns, and Friede, Busch, and Bassen’s research on ESG and financial performance. However, previous studies have predominantly focused on public markets. From a business standpoint, [borrowers] with better ESG practices are lower risk investments. Much of the growth in the breadth and depth of responsible investment activity over the last 10 years can be put down to demand from large institutional investors such as public pension funds and insurers. When the six Principles were launched in 2006, responsible investment was a niche activity, but it is now considered to be critical for all but the smallest funds. Some interviewees suggested that increased responsible investment activity among private debt funds has been led more by their own internal drivers than pressure from investors – which tends to be a more prominent driver in other asset classes. This is explained by the fact that many private debt investment management teams have been keen to better understand how ESG issues are linked to credit risk. Nonetheless, interviewees consistently noted a steady increase from almost no investor questions about ESG five years ago to such questions becoming the norm today. We see it as not only necessary but also a competitive advantage, so we like being asked about responsible investment. Policy makers are increasingly codifying ESG requirements in financial sector regulation. In the largest 50 economies in the world, the PRI has identified almost 400 policy instruments which encourage or require investors to consider long-term value drivers, including ESG factors. More than half of these were introduced in the last three years. Recent developments, including the Paris climate agreement, the recommendations of the EU Action Plan for Financing Sustainable Growth, as well as regulations in California, Ontario, Brazil and South Africa, point towards increasing regulatory focus on responsible investment over the coming years. The burgeoning use of social media and changing views of the role of business in addressing the world’s problems has sharpened investor minds about managing reputational risks. Analysing ESG factors by directly engaging borrowers and monitoring media feeds for negative news coverage, for example, can help investors identify potential reputational hazards relating to undesirable corporate behaviour. Such risks require regular tracking as they may develop through the life of the investment. Consideration should also be given to issues of emerging importance, such as cyber risk. If you compromise on the covenants, you have to live with that and, if you take on too much leverage, there will also be consequences to suffer. You do not want to be a forced seller.